MOSCOW -- A Russian court on Wednesday found opposition leader Alexei Navalny guilty in the retrial of a 2013 fraud case, which formally disqualifies him as a candidate for president next year. In a webcast hearing in Kirov, a city nearly 500 miles east of Moscow, Judge Alexei Vtyurin found Navalny guilty of embezzling timber worth 16 million rubles ($270,000) and gave him a five-year suspended sentence. The previous guilty verdict was overturned by the European Court of Human Rights which ruled that Russia violated Navalny’s right to a fair trial. “You can come over and see that the judge is reading exactly the same text, which says a lot about the whole trial,” Navalny told reporters, adding that even the typos in the names of companies were identical in both rulings. The court’s decision comes as another prominent Russian opposition leader remains hospitalized in Moscow with a mystery illness his wife and associates believe is poisoning. It is the second time Vladimir Kara-Murza has been hospitalized with similar symptoms since 2015. “I’ve no doubt this was a deliberate poisoning intended to kill,” Kara-Murza’s wife Yevgenia has said. Navalny’s campaign manager, Leonid Volkov, insisted that the campaign goes on even though the guilty verdict formally bars Navalny from running. In a post on Facebook, Volkov said that the Kremlin will ultimately decide whether Navalny will be confirmed as a presidential candidate. “This is the political decision we need to win by campaigning,” he said. Another prominent leader of Russia’s beleaguered opposition movement, Boris Nemtsov, who was a close confidant of Kara-Murza’s, was gunned down in broad daylight near the Kremlin in February 2015. Only one of the five people arrested over that assassination admitted to the murder. Human rights groups said there were clear signs of torture on the alleged killer, suggesting he was coerced into a confession. 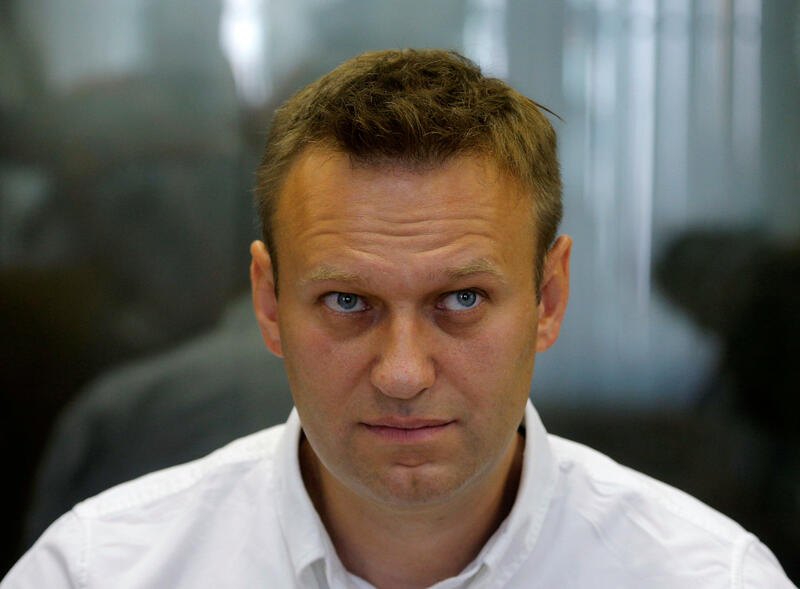 Navalny’s plans to run in the 2013 Moscow mayoral election were shattered when the Kirov court found him guilty and sent him to prison. But after he spent a night in jail, the court held an emergency hearing and released Navalny on a suspended sentence. The unusual move was seen by observers as the Kremlin’s decision to allow him to run against its candidate in the mayoral race in order to make it look more legitimate. Navalny came in second, garnering about a third of the vote.